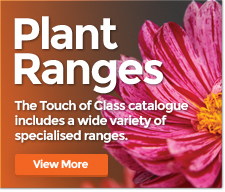 Enhance your garden with easy care, high impact colour using the Cyrano™ Verbena collection. Cyrano™ Verbena are fast-growing and essential for adding a blast of high impact colour to gardens, containers. Masses of vibrant blooms almost cover the fresh green foliage during spring, summer and autumn; removing spent flowers will encourage more blooms. Verbena Cyrano Burgundy adds a blast of high impact colour to your garden. This Verbena is fast-growing and in no time at all, will have vibrant blooms of Burgundy to your gardens, containers, hanging baskets and window boxes. Verbena Cyrano Deep Blue adds a blast of high impact colour to your garden. This Verbena is fast-growing and in no time at all, will have vibrant blooms of Deep Blue to your gardens, containers, hanging baskets and window boxes. Verbena Cyrano Deep Red adds a blast of high impact colour to your garden. This Verbena is fast-growing and in no time at all, will have vibrant blooms of Deep Red to your gardens, containers, hanging baskets and window boxes. Verbena Cyrano Rose adds a blast of high impact colour to your garden. This Verbena is fast-growing and in no time at all, will have vibrant blooms of Rose to your gardens, containers, hanging baskets and window boxes. Verbena Cyrano Soft Pink adds a blast of high impact colour to your garden. This Verbena is fast-growing and in no time at all, will have vibrant blooms of Soft Pink to your gardens, containers, hanging baskets and window boxes.